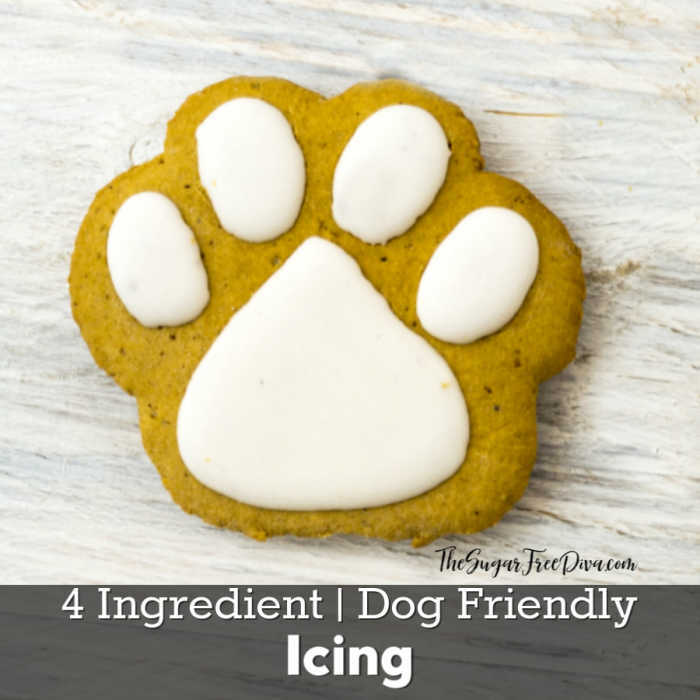 This is really an easy 4 Ingredient Icing for Dog Cookies . I like that this icing makes dog cookies look even better as well. It takes only four ingredients to make a homemade dog treat look even better. I know that my dogs are happy about that as well! As we all know, not everything that we eat is safe for our pups to eat. This is especially true when it comes to food that sugar added to it. 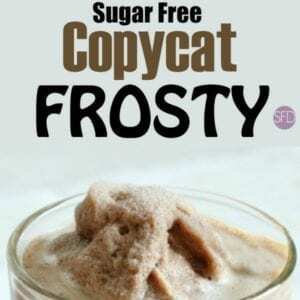 As we all know, ‘people’ icing is usually loaded with sugar or, in the case of this site, sugar alternatives. 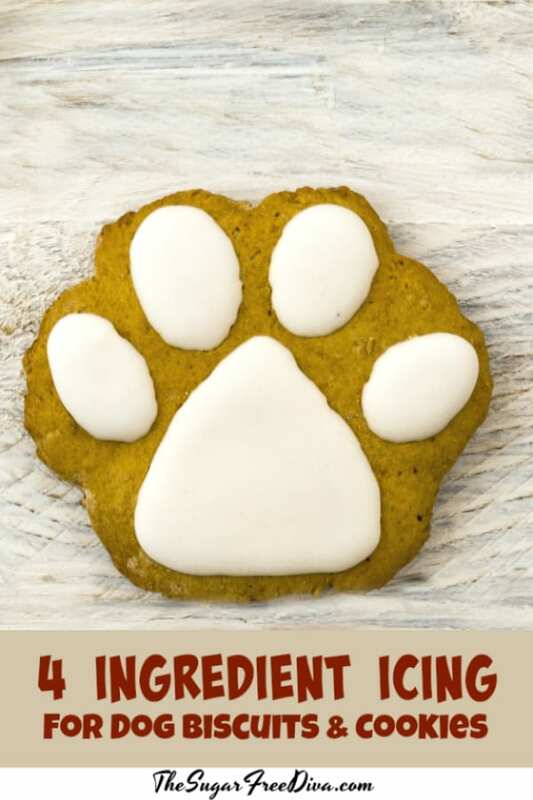 A while back I posted a recipe for a cream cheese based icing for dog cookies. 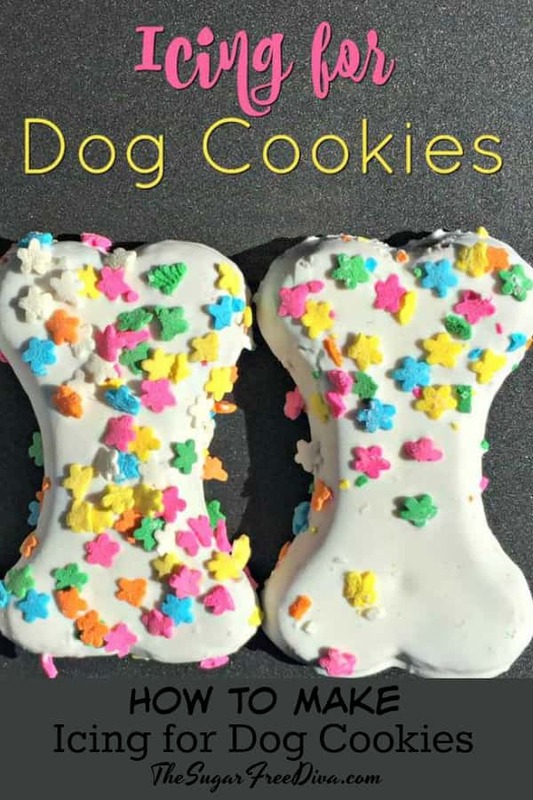 This recipe for dog cookie icing was a really popular one as well! However, this cream cheese based icing works best on cakes or cupcakes made for our pets. The cream cheese based icing is more of a thick icing that is meant to be served moist. Would you want a hard frosting on your cake or a moist buttercream one? This recipe is good for dog cookies and biscuits. That is because it hardens rather than stays moist. This makes it easier to store and less of a mess when we do so. There really is one essential ingredient that makes this recipe work. We will be using corn starch for this recipe. Cornstarch is a thickener that helps this harden. 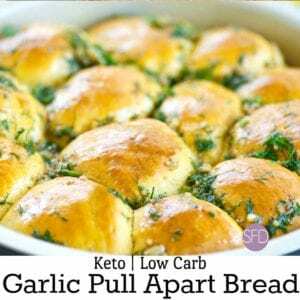 There are a few alternatives to cornstarch that can be subbed in for a recipe such as this one. 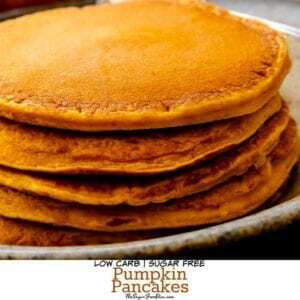 Rice flour or potato flour should work although you may need to add a bit extra for hardening. Tapioca Starch and Arrowroot Starch are two other possible alternatives for you to try as well. As mentioned, we will be using corn starch for this recipe. Cornstarch is a thickener that helps this harden. For a sensitive pup you can try instead Rice flour or potato flour should work although you may need to add a bit extra for hardening. 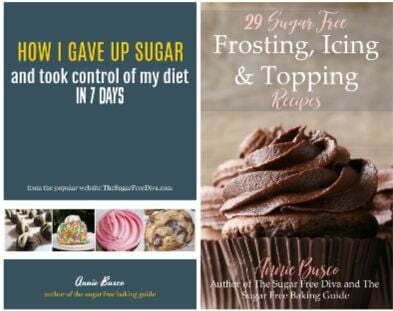 Tapioca Starch and Arrowroot Starch are two other possible alternatives for you to try as well. 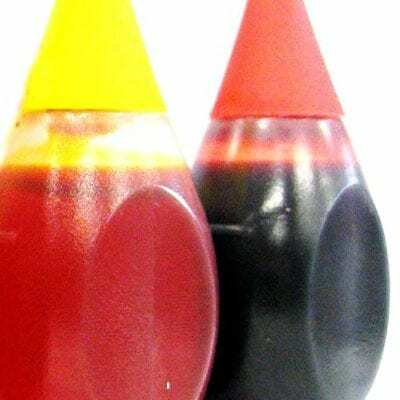 Food Coloring– a few drops depending on the color and amount of the color desired. I would suggest reading the label to check for any warnings etc for pets however. Place your cornstarch in a small to medium bowl. Add the water a teaspoon or two at a time. When you reach about halfway through the 1/2 of the 1/4 cup of water, stir in the honey. Then add the remaining water until you reach your desired consistency. This will normally seem a bit thin at first before it actually hardens. Divide the icing into as many bowls as you want colors. For example, if you want two colors, divide the icing into two smaller bowls. Then add a drop or more of the food coloring to the individual bowl and mix until you get your desired color for icing. Apply as desired to cooled dog cookies/biscuits. Refrigerate for best results. Do not add chocolate to this recipe for dog icing. I have several great recipes for chocolate frosting and icing on this site. Those recipes are for people. Chocolate is a favorite ingredient for use to use in our frosting. Because we like our chocolate, it can seem to be a tasty idea to make an icing made with chocolate for our pups. However, as a warning to you, chocolate contains caffeine, theobromine, phenylethylamine, and fromamide. I do not know much about these ingredients but, I have heard that in certain quantities that can make a dog very sick. I would never want this to happen on my watch. 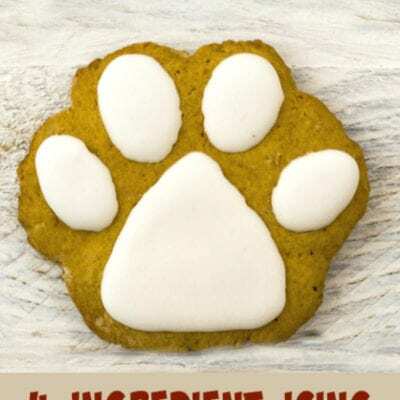 My dogs love when i make this easy recipe for 4 Ingredient Icing for Dog Cookies when I make them homemade biscuits and cookies.